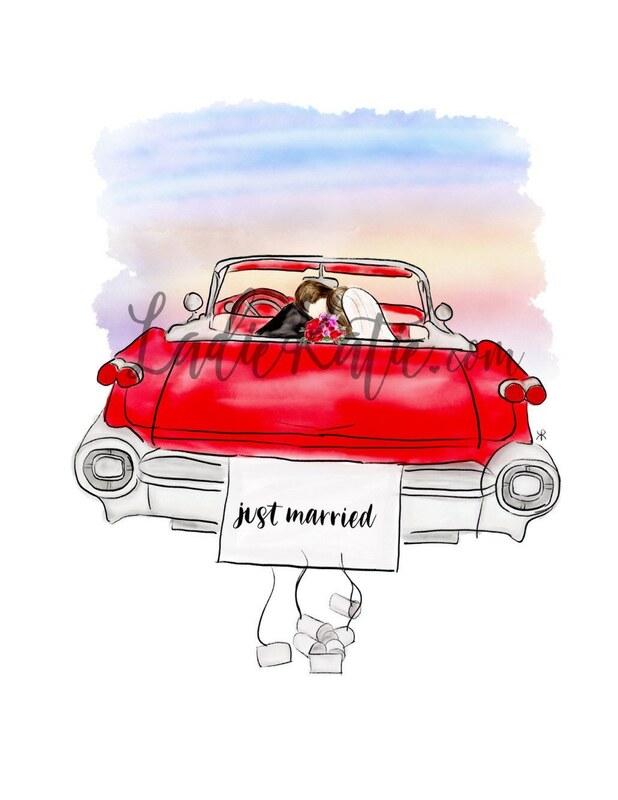 This listing is for a print of my original watercolor painting, “just married” of two newlyweds driving off into the sunset in a sweet ride. 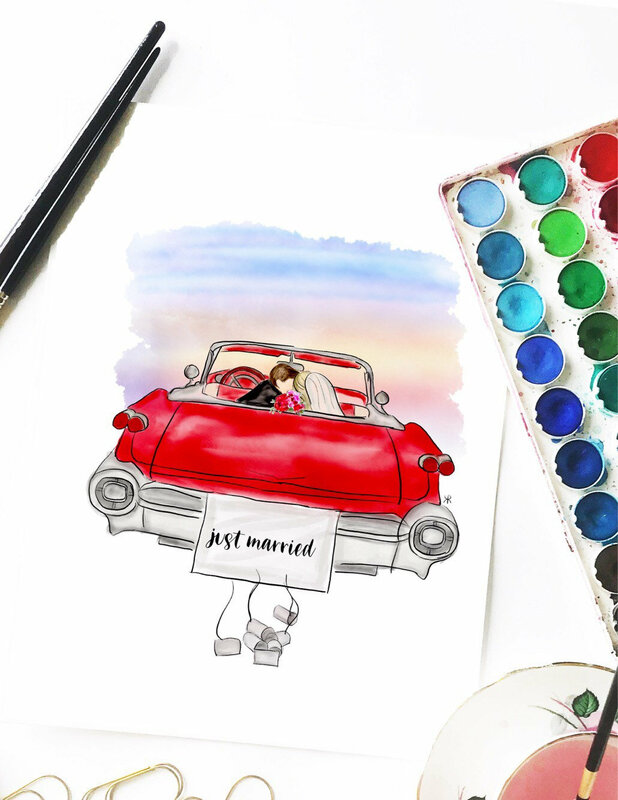 You can customize the newlyweds hair colors. Or if you’d like I can add the newlyweds names to the sign on the back of the car (Please just include the name you would like in the message to seller box at checkout). 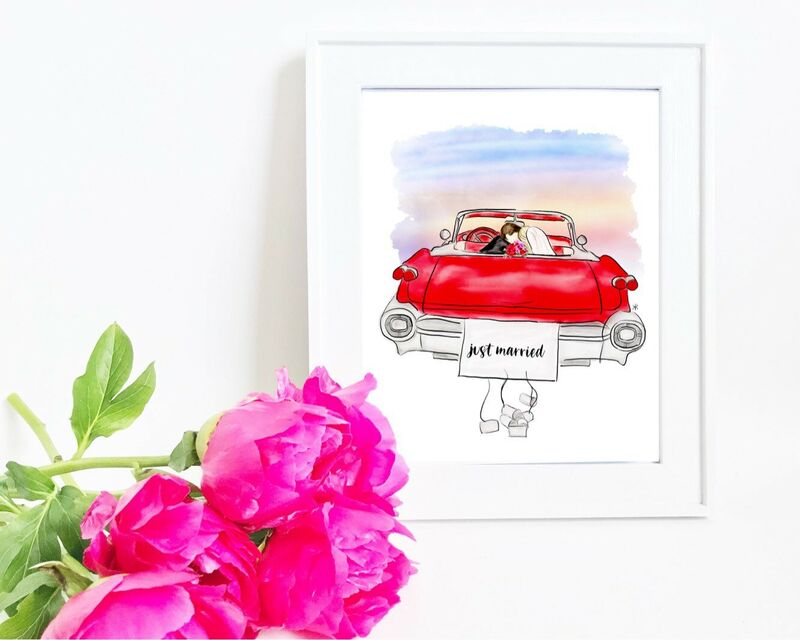 You may also like these beautiful bridesmaids cards and print!